St. Moritz Art Masters is a unique art and culture festival in the Engadin. We aim to develop a vision for a culture where a love of art, design, photography, and travel come together to create an enriching lifestyle. This was the idea of Art Masters in the Engadin resort of St. Moritz. Situated on the southern side of the Swiss Alps, at 1,800 meters above sea level, St. Moritz can be said to rest on the “Roof of Europe”. The incomparable harmony of its lake scenery has made the Engadin known throughout the world as the “festival hall of the Alps,” a very special place where the great Alberto Giacometti loved to take a long walk every day and the creative legacy of numerous artists has left indelible traces. There are institutions in the Engadin that match their unique location with top-notch programming. There are more than 30 museums and almost 50 art galleries – you will not find this anywhere else in the world. As I have been working on creating, developing, and promoting Art Masters in St. Moritz for over 10 years I may say that this is the greatest summer festival in its history. In my life I have had the pleasure to rewrite the strategy of St. Moritz Art Masters, attracting funding as well as participants such as Engadin galleries, shops, hotels, restaurants and a lot of great people who love art and are passionate about design and photography. This is the cultural and social engagement that Art Masters absolutely must have. OUR GOAL IS TO TAKE ART MASTERS TO THE NEXT LEVEL. We have the privilege to proudly present fabulous artists and great art from all around the world, unique photography as well as the photographers who produce it. The quality of Art Masters has never been anything but the best. Building upon this premise I’d like to set a new legacy for tomorrow. The goal to create a vision for quality, education, and cultural enrichment is always in my mind. 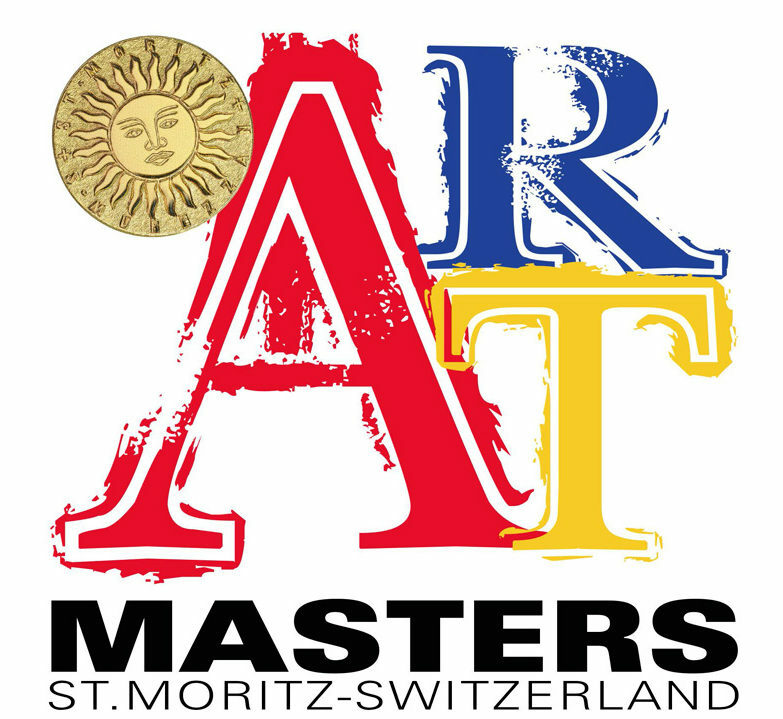 We should plan for the year 2019 and for future editions of St. Moritz Art Masters with long lead times in order to develop a clear and consistent strategy that encompasses exhibitions, logistics, public relations and sponsor relationships, working with partners who honestly believe in art – supporters who believe in art of the highest quality, life of the highest quality, and in the Engadin. St. Moritz Art Masters 2018 is a global summit of art, photography, and design, with great people and art leaders. It is a landmark in the world of culture. This year St. Moritz will be the meeting place of leaders of contemporary art and a select group of artist from, among other countries, Italy, Germany, England, France and America, plus many other people who believe that art and creativity can save the world. This year we invite art experts, influencers, gallery owners, curators, collectors, and dealers to reflect upon, evaluate, and to challenge what we have done in the last 10 years and what we have achieved so far. We will re-think the past in a tribute to photography and to what we’d like to create for the future. Monty Shadow & his friends will exhibit photographers, art practitioners, and curators. The master of analog photography, the man who made his mark upon the history of fashion, lifestyle, and photography, is a true nonconformist – not only in the provocative world of his photographs but also in the life he lives. His interviews, dialogs, videos, movies and debates, especially those regarding social engagement when he began more than 40 years ago, all feed into his present renaissance and creative partnership with Richemont Group, once again creating a legacy for tomorrow. 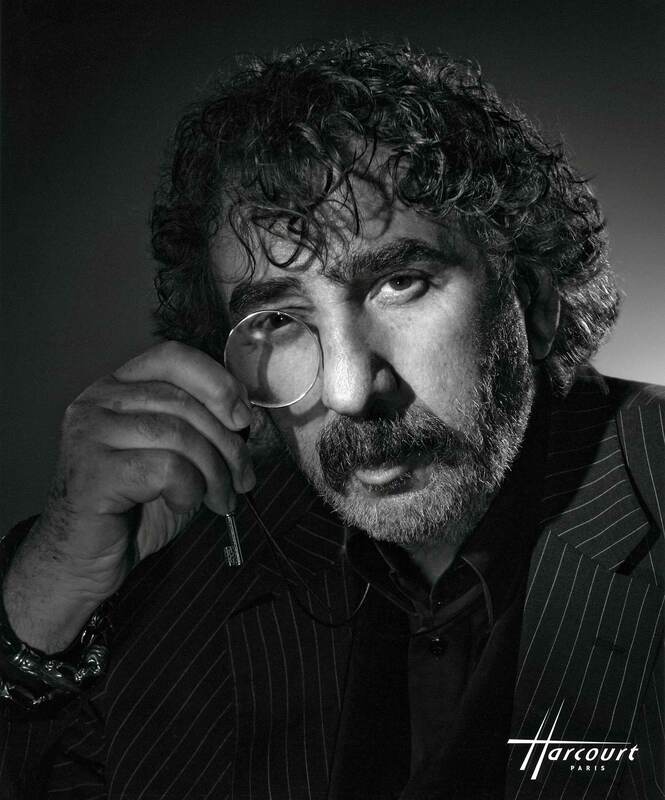 His photographs had a notable impact upon the high-end brands and products in sport, luxury, fashion, and lifestyle with over a thousand covers of the world’s best magazines. In this way, he set the bar for other magazines to bring artistic and social movements into the attitude of their brand. He transformed the photography of commodities, infusing it with emotion. The work of great photographers, especially that of Monty Shadow & his friends, can be found in many museums and private collections. The work of painters, photographers, sculptors, designers, craftsmen, and architects will be on display – after 10 years of St. Moritz Art Masters once again offering inspiration and a strong proof that this annual event has a reach far beyond the Engadin’s fascinating mountains and picturesque valleys. It presents a unique and global perspective for artists and for the younger generation that is transforming the Engadin and St. Moritz into a very special location known on all five continents. This year we would like to pay a special tribute to Bentley, sponsored by KESSEL, which will celebrate 100 years of this fabulous brand. The next year, 2019, will be the year of BENTLEY. In St. Moritz there will be a preview of this legendary car that illustrates its esthetic excellence, functionality, and high technology. More than any other car this pure pleasure vehicle serves as the ultimate denominator of luxury, history, heritage, and future potential. It will definitely be a five-star event with great people and Bentley’s powerful cars presented by Kessel Auto SA. We look forward to a stylish, ergonomic, design-led performance on four wheels. The festival will be followed with BERNINA GRAN TURISMO, a classic car event and a tribute to the world of vintage vehicles. Kessel and Bentley are two parallel worlds, which together reflect an inimitable love of cars and aristocratic chic, paired with sensational allure for charming and distinguished people. Absolutely Kessel. TASCHEN – publisher of the world’s most beautiful books We always love our many special guests, but this year it will be one in particular: TASCHEN – publisher of the world’s most beautiful books. In today’s technological era books are a luxury and TASCHEN will give us their take on contemporary art, emotions, and fascinating inventions that have shaped the world. The 10 years of history that is the past serves as a certain kind of illumination of the present. We believe that with Art Masters we can build an intellectual vision that not only holds true for St. Moritz but for the whole world. Based on the history of our event in the Engadin, we see it expanding its reach to build a global community and establish an international tradition. With our new partners in Shanghai, China; in Baden Baden, Germany; and TASCHEN in Los Angeles, USA – the greatest and most fabulous publisher that has invaluable insights in culture and history from exploring publishing for more than 40 years – we are excited to shape the future in front of us. Presented by Montblanc and Pirelli, together with Taschen Books, we will create a world heritage, a legacy for tomorrow. Together with great artists, designers and architects we will show you how to combine style and creativity with the technology of the digital world era to create business value that attracts talented people from all over the world. Our great network enables us to connect creative people and to fuel their spirit with art and culture, creating content that sparks new ideas and opportunities in commercial partnerships. We will have two unbelievable guests: Simone Fugazzotto and the figure of the Monkey and Johannes Weinsheimer, a famous German photographer presented by Artology with a special photographic essay. There will also be an exceptional photographer, James Vaughan, dedicated to the theme of Water and Light. On this note we would like to express our sincere gratitude to the sponsors of this year’s event: Kessel, Pirelli, Leica, Yoox/Net- a-Porter, Audi, Taschen, and Montblanc. They are all very proud to be with us as we take art and creativity to the next level. I would like to thank our friend and partner Marco Voena and Robilant+Voena gallery. St. Moritz Art Masters also gives heartfelt thanks to the significant support of the Engadin hotels, especially to our esteemed partners Kulm, Kempinski and Suvretta House. Art Masters in the Engadin – it’s a destination and it’s unfolding all around you, a perfect platform of bliss to enjoy a journey through art, style, design, and photography. Art Masters is designed as a spectacular festival to celebrate the amazing artists and great people with their tantalizing collections. Together with all that the Engadin has to offer it is simply the epitome of Art, Culture, and Quality. We have the great pleasure to welcome you to spend some wonderful days with us and to enjoy this unforgettable summer festival where nature, breathtaking mountains and valleys will remind you that life is enriched by cultural experiences and the appreciation of our beautiful world. Life is spectacular. Life is a unique pleasure.